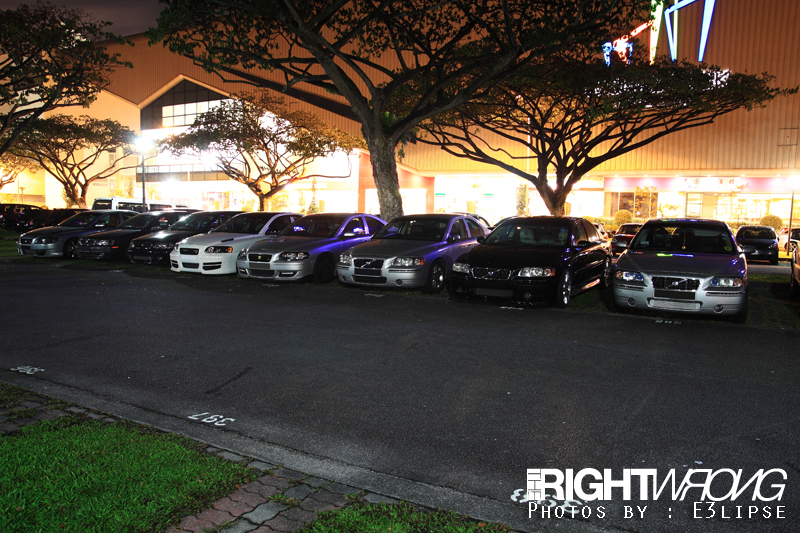 If you are reading this and you are not local (from Singapore), you would probably know we have been covering majority of popular tuner type cars so far. 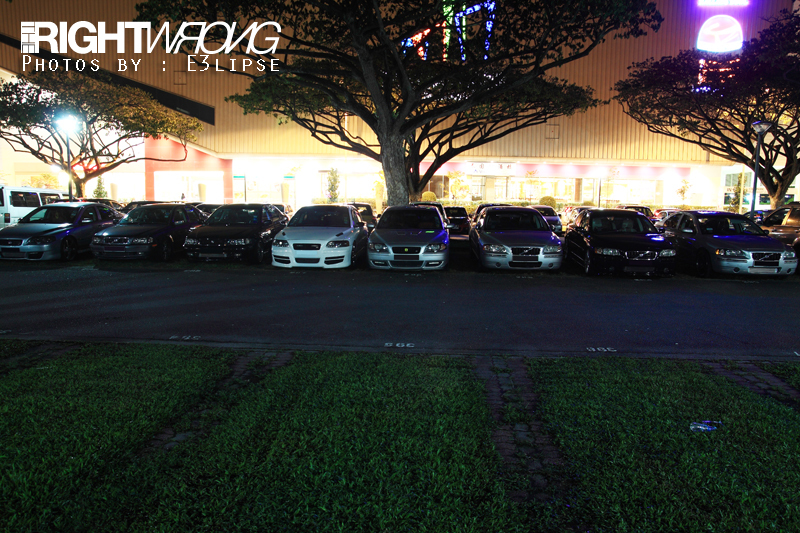 Evos, Volkswagen, Audis and even a BMW M meet. 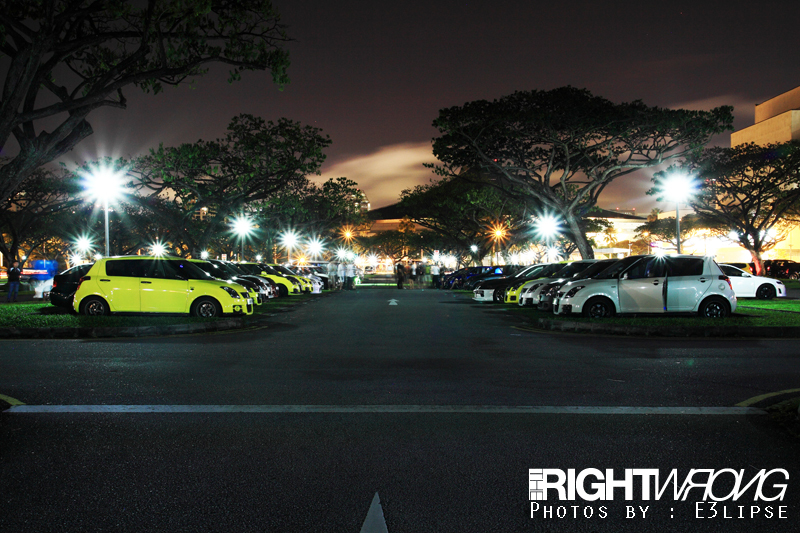 Then comes the question : Why the combo breaker of covering a small car meet such as the SwiftClubSg meet. 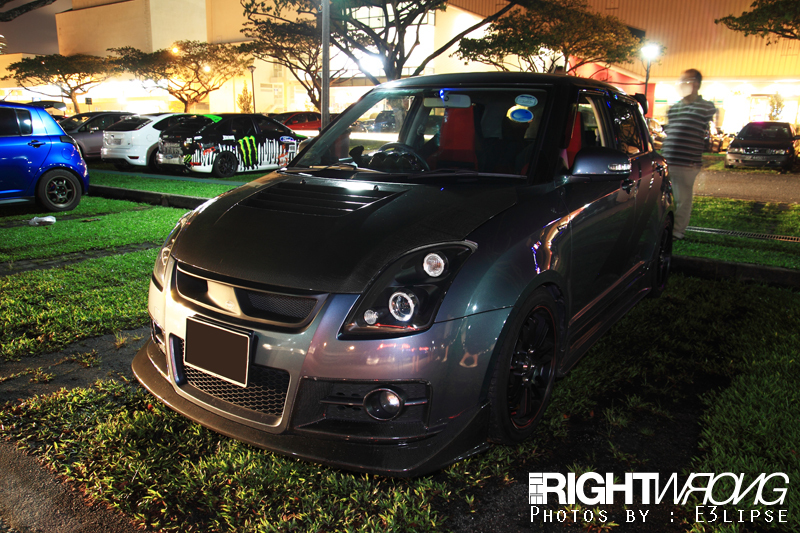 That’s where I would like to educate you on the price of this small car here in Singapore. It is going to cost you $91,000 dollars brand new with today’s prices. That’s approximately $70,000 USD and could probably buy you quite a few decent performance cars in the USA. 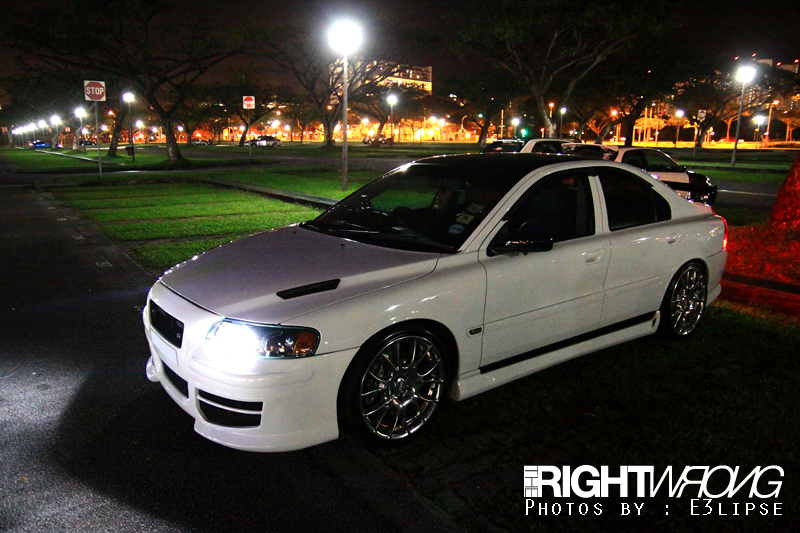 Not everybody, even with the ability to is willing to spend almost $200,000SGD to get an Evolution or STi and thus, smaller cars are very popular for modification. We were originally invited down by sstrooper from SwiftClubSg.com. Coincidentally there was a Volvo meet just beside where the Swifts were parked. That’s twice in a row we have accidentally stumbled onto a car meet. What are the odds? 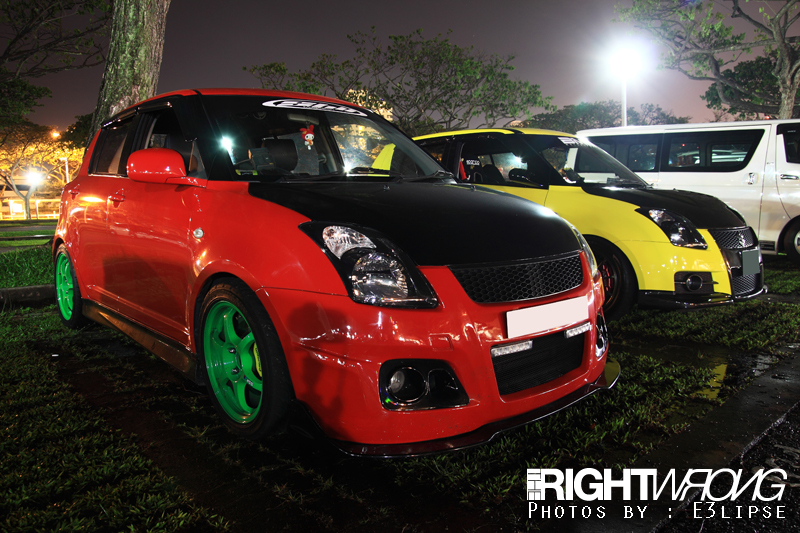 Back to the point, now that we have reinforced the pay through our noses price of cars in Singapore and why we actually have an interest in “small” cars compared to the Import scene overseas, the Swift sport is actually a very nimble car to drive. 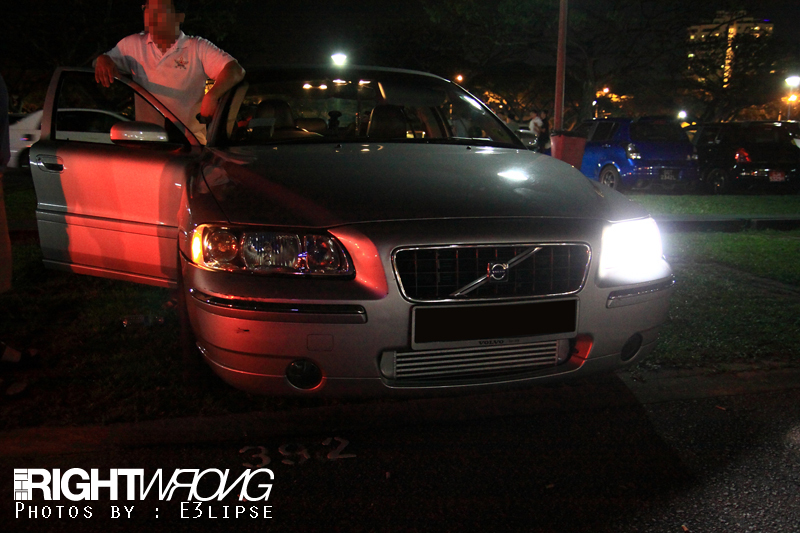 Volvo’s on the other hand, are not very popular choices for modification. You see your average lowered on springs BMW or Audi all the time but this is my first encounter with nicely done up Volvos! We took a couple of photos of the Volvo group first because the turnout of the Swift club was extremely small compared to their usual meets. We were told “Many of them are late and the rest were preparing for an upcoming track day. Most people generally don’t turn up for meets when they are intending to head to the track. They’re afraid of the unwanted attention”. It likely is due to the conditioning of Singaporean mentality that meet ups are generally bad business. Why would people think that way stumps me but that’s just how it is. Admittedly, there are not many photos that show the details of the cars well. 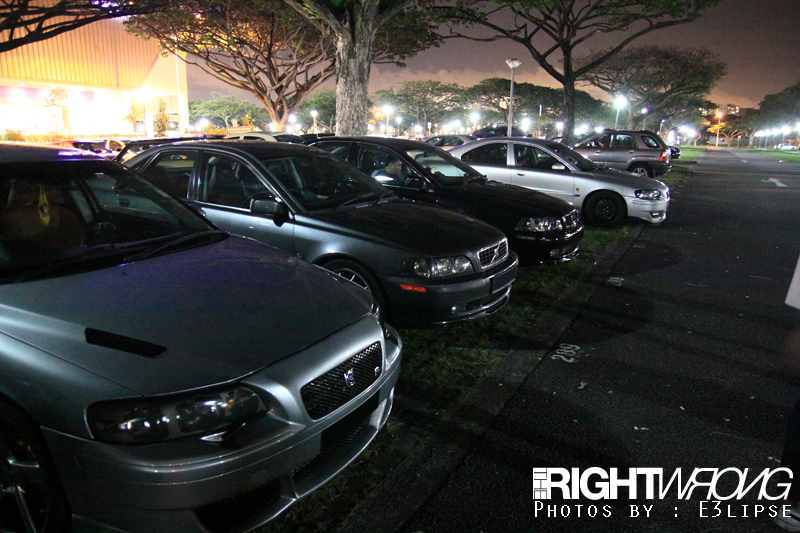 The lighting of the carpark outside Kallang Leisure park is miserable and what little photos we had were reduced even further by having to delete blurred photos. Poor lighting or not, we had a job to be done and fortunately our photographer E3lipse followed through for us. All photos had to be taken with the tripod and its harder for us to capture our usual “artsy” type photos. The organizer however did promise us that the next meet up would be in the day and we promised to return and produce even better photos next time round. Till then, these pictures will have to do for now! 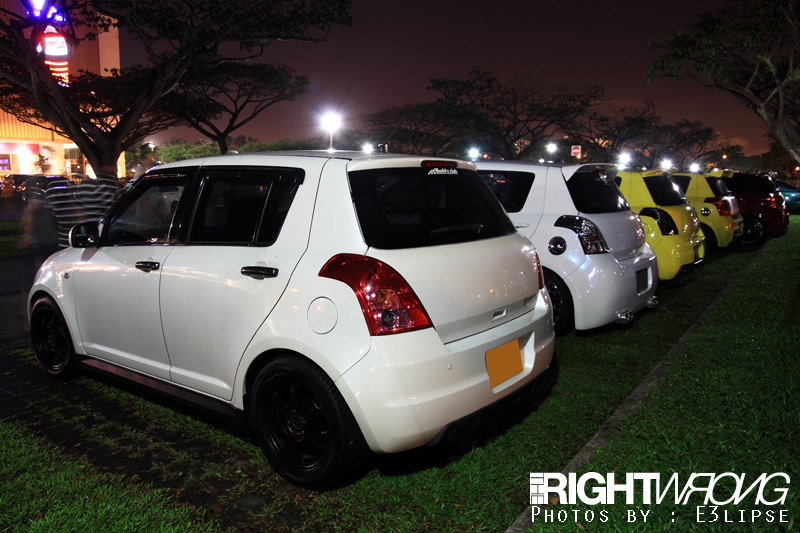 Previously Swift owners. Upgraded but still attending. Slammed on Bags. Not a common sight in Singapore.